For bike enthusiasts, handbags, DIYers, professional handymen: the tube with a sponge applicator is suitable for a wide range of uses. 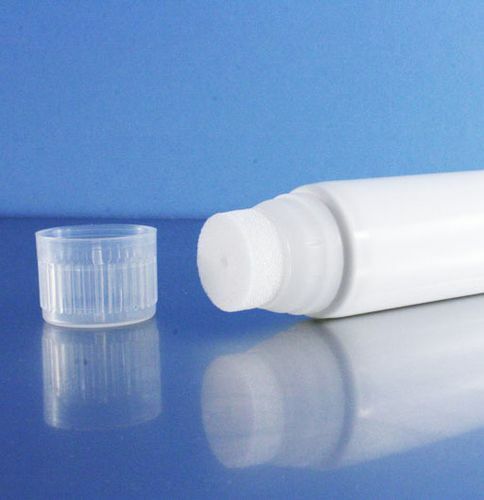 The practical applicator tube is ideal for the private household: car lovers use it on their beloved car, motorcycle enthusiasts can polish their boots and women polish their bags with it. DIYers use the sponge to repair small areas of paint damage. The professional handyman uses it to apply polishing paste, liquid glue or wax. The tube is available in 35 and 40mm diameters. You can dye the sponge if you like. For the decoration on the tube we recommend our offset and screen printing.